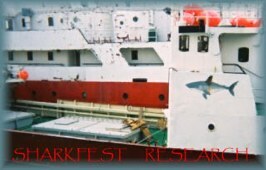 KEYWESTINSTITUTE.COM "Managing New Global Horizons"
Chemistry / Environs / Aquaculture KEYWESTINSTITUTE.COM "A Professional Electronics System Organization"
Key West Institute™ "New Global Horizons Research & Finance"
" Businesss Finance/ General Processes"
"Electronics/Resource Setup: NanoAlpha™ Product Capabilities & Analysis/South America Expo"
"Construction & Management in Marine Environs:Construction Management Institute of FL Presenter"
Support! 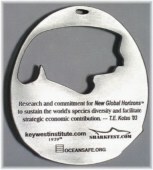 Key West Institute's - 'EverGators™ ' Initiative - Since 1991 - To Preserve The Everglades Habitat! EcoNote: Sitting on the business porch of a fellow Conch, I pondered why they named this island after a certain color on the spectrum. Gazing over the water did not offer the answer – the answer was later explained that the name came from a mollusk which has since changed it’s residence... due to over harvestiing! 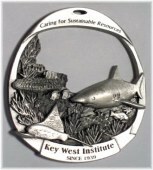 Key West Institute™ Commemorative Medallion "Caring for Sustainable Resources"
The Names "SHARKFEST™'", sharkfest.com & "AcademicalVillage™'", academicalvillage.com are Trademarks owned by Strategic Planning .US Corp.
used for research projects since 1939 and as part of the advisory partner of the Key West Institute Corp.
All Rights Reserved. Copyright © 2019 Key West Institute Corp.